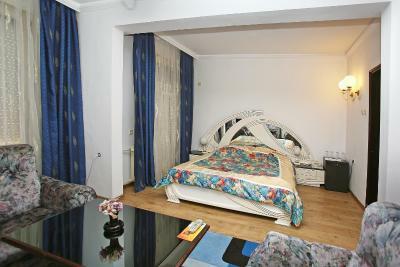 Lock in a great price for Hotel Splendid Ruse – rated 8.2 by recent guests! Great staff, nice people, top location, clean room. My stay was fantastic. 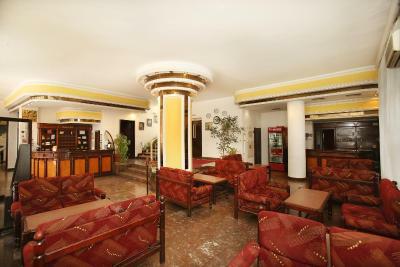 The staff were super friendly, hotel was in an amazing perfect location in the center and it was very clean. The room was perfect for me with a nice big window, lots of storage, a tv with cable, mini fridge, and a new remodeled bathroom. The room was renovated and looked a little different from the pictures to my pleasant surprise. It was very very clean which made me happy. The elevator is great, old school and fast. The restaurant was good as well offered a lot of seafood selections and a variety of dishes and well priced in a nice quiet location. Overall I am very happy that I chose to stay here and definitely will come back in the future. Great location. Very, very clean. Very kind staff. Wi-Fi was excellent. 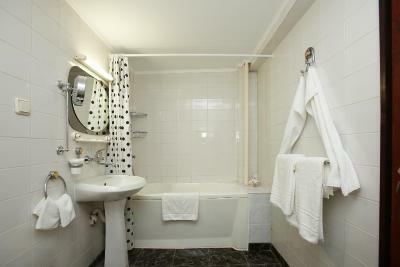 Perfect location, comfortable bed, free wifi, elevator, the prices of the minibar are really good, nice and clean bathroom. Comfortable, nearly to center of the city Ruse. Only 2 minutes walking. Clean rooms and very kind personal. Strongly recommend to use this hotel to stay in. The hotel is in the city centre, clean and had a home made breakfast. The lady in the morning made me feel like at home and made my day :) Lots of flowers, day light and small cosy elements around. I am choosing this hotel for the 3rd time in Ruse and would highly recommend it for its superb location (the closest you can get with car to the very center of the city) and great care the stuff provides. The interior is aging (early 1990s style), but the service is so great that they actually manage to turn this downside into an advantage. 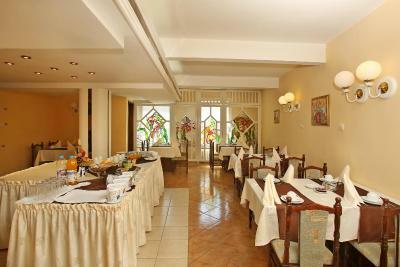 Very clean and kind of cozy atmosphere, excellent restaurant in the hotel. Very close to the center. 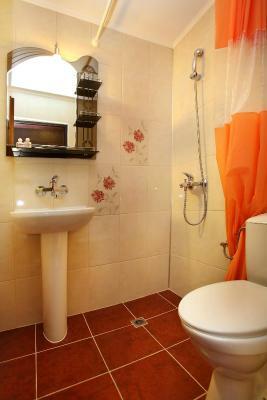 Renovated rooms, good price for one day staying. 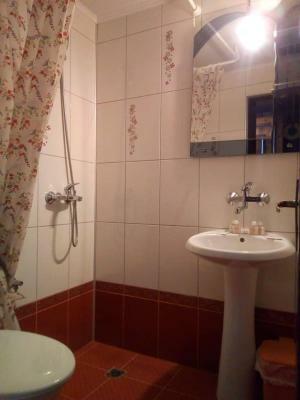 Hotel Splendid Ruse This rating is a reflection of how the property compares to the industry standard when it comes to price, facilities and services available. It's based on a self-evaluation by the property. Use this rating to help choose your stay! 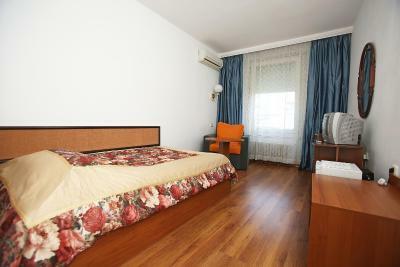 One of our top picks in Ruse.Situated in the very heart of Ruse yet in a quiet and pleasant area, the traditional Hotel Splendid Ruse offers spacious and cozily decorated accommodations. The intimate atmosphere of the restaurant invites you to savor excellent dishes accompanied by a wide selection of beverages. The stylish restaurant seats up to 50 people. It has live music and there is a separate breakfast lounge. Hotel Splendid also provides each guest with a parking space. This is our guests' favorite part of Ruse, according to independent reviews. 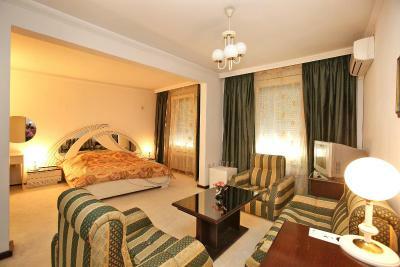 When would you like to stay at Hotel Splendid Ruse? 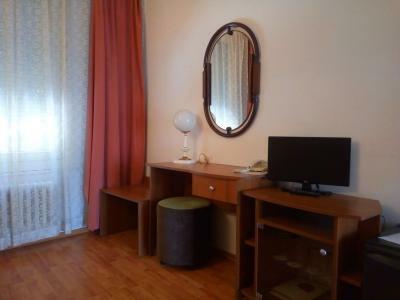 Air-conditioned room with a mini-bar and cable TV. The rooms have a beautiful view to the center of Rousse. Public parking is available on site (reservation is needed) and costs BGN 3.91 per day. 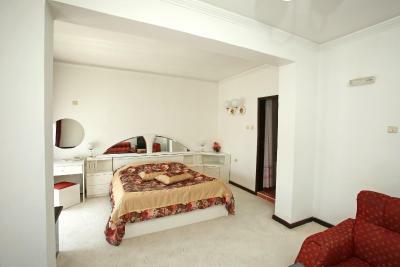 Air-conditioned room with a mini-bar, cable TV and a king-size bed. 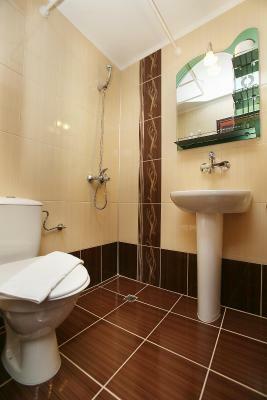 The staff of the hotel will provide for your pleasant and sterling stay. House Rules Hotel Splendid Ruse takes special requests – add in the next step! Hotel Splendid Ruse accepts these cards and reserves the right to temporarily hold an amount prior to arrival. It's not new hotel, but clean and perfectly located. Price was very good. I recomend Splendid Hotel for a client who does not require luxury and respects his company's money. The lady who works at the breakfast room is soooo nice! Our room was very clean and the bed comfortable. Perfect place to stay! We have stayed at this hotel many times in the past and have enjoyed our visits but things have clearly changed since our last visit. The biggest difference was the breakfast. 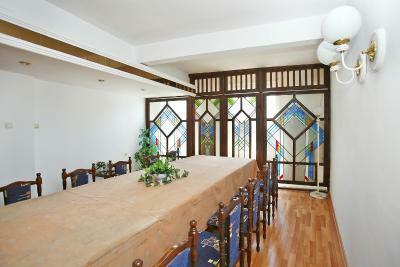 Previously the friendly staff would ask what you would like cooked and serve up a a lovely hot dish of bacon and eggs. There was fruit and muesli for non- meat eaters and the staff would keep a close eye on dishes that needed to be refilled. This time the much reduced choice of food was laid out on the table - cold fried eggs, sliced meats etc and lukewarm water for tea and I needed to go into the kitchen to ask for more bread and ask for the water to be boiled. The staff did not seem that bothered about providing a good service. We could park outside the hotel for a small charge and the location is excellent. The room was big. Good location in the city's center. The receptionist who was present on 24.10.2018 in the morning and evening and on 26.10.2018 in evening apparently had her own vision about what the hotel business is about (guests have to adjust to her comfort&will), wand was behaving according to it. In particular: she was systematically missing to greet guests even when the guest greets her first; instead, she was asking loudly "What is your room number" accross the foyer; the night before the check-out instead of saying "Good evening" when I entered the hotel, she again asked for the room number and stated "You must pay this night", not pointing particular reason for this. I pointed to her that the "must deadline" for payment is before leaving the hotel on the next day, and that I will definitely pay at time of my own convenience within this deadline. She did not care to understand that she has to apologise for her inadequately demanding manner of speaking and her unsubstantiated request for earlier payment. 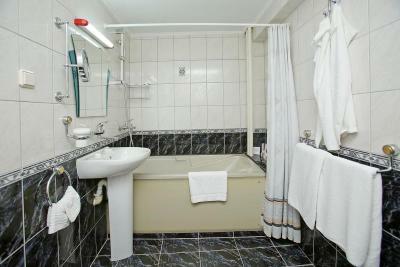 // As for the facilities, they generally meet the expectations one would have for this low price rate: old though generally well maintained building, old facilities and furniture, faded, some electrical plugs not working. The most essential among the apparently needed refreshment is the sound insulation. Every night the electronic music of the street musician is very clearly heard, same for the street passengers talks, and when there is a party in the restaurant attached to the hotel, it becomes really loud. Normally, I am not disturbed by the noise even in hotels that most people describe as such with highly disturbing noise; but during my stay in this one even I hardly bared the noise. The location is perfect in terms of (pedestrian) proximity to the main pedestrian street, shops, supermarkets, kiosks, restuarants, cafes, bars, nightclubs. One of the receptionists was very calm, proffessional and efficient (unfortunately I did not record her name; it's the lady who was working night shift on 23.10.2018 and day shift on 27.10.2018). // Restaurant attached to the hotel (no room service).// The WiFi is free; with acceptable quality incl. for watching movies online without ups&downs. The room A/C was functioning OK in heating mode. 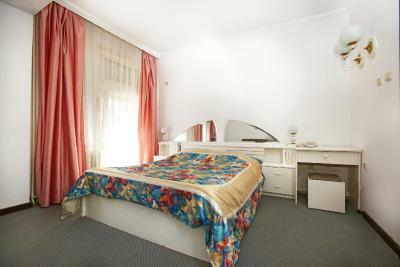 Additional basic room facililties in a standard single room: armchair and table, small TV, minibar, safe, wardrobe. Dreadfully noisy party until 2am on our first night so unable to sleep. Unable to contact reception. Eventually security guard answered phone and said he didnt speak English. One of the receptionists was rather miserable and unhelpful. Weekday breakfasts were limited and disappointing. Although we were early for breakfast we frequently had to ask for bread, juice, cups etc. that had run out. 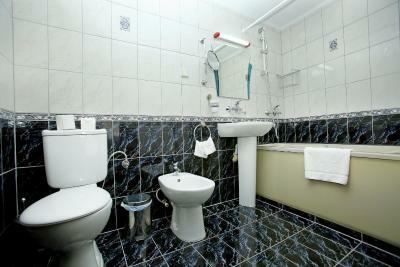 Management should pay attention to the maintenance of toilets. The door of the room is a bit difficult to close. The Hotel is very old but well maintained and organized so I like the smell of history in it. 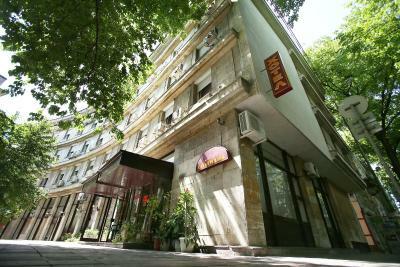 In addition the location is very convenient, it is actually in the center of Ruse, surrounded by shops and restaurants. The location of the hotel is excellent! Very close you can find 24h shop with water/snacks/alcohol/cigarettes. Just 1 min walk from central square and great pedestrian area. Room equipment was not new, but very clean! Annoying noise outside window (air con?) that went all night so couldn't have windows open. Could do with sheets that cover the whole bed. Lovely old art deco hotel close to the main town square. Lovely friendly helpful staff. Wonderful lady in breakfast room that cooks you eggs and pancakes and even made us up a big takeaway breakfast for our early bus trip. 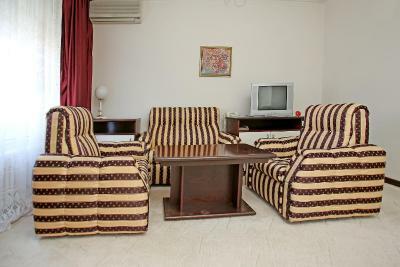 Huge comfortable room with air con and a proper couch. Big old fashioned bed with mirrored bedhead. Good shower and good lighting. Walking distance to all major sites.